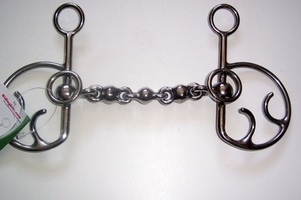 Ideal for horses that lean on the bit. Can be used with a backstrap. Three different rein settings.